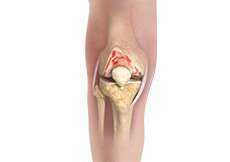 Osteoarthritis is the most common type of arthritis, affecting more than 21 million Americans. 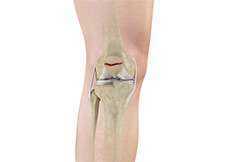 Osteoarthritis tends to develop as people get older or from overuse of the knee during work or sports. Osteoarthritis causes the protective covering at the ends of the bones in the knee to gradually wear away, resulting in painful bone on bone rubbing and disrupted movement. 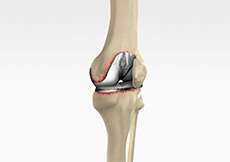 The knee consists of a fluid called synovial fluid, which reduces friction between the bones of the knee joint while you move your leg. Sometimes this fluid is produced in excess, resulting in its accumulation in the back of your knee. 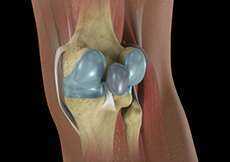 A Baker’s cyst or popliteal cyst is a fluid-filled swelling that develops into a lump behind the knee. 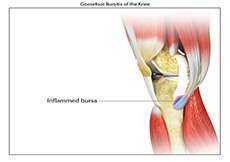 Knee tendon bursitis can develop at the inner (medial) knee. 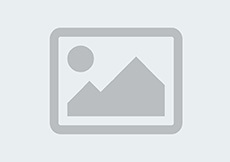 Knee tendon bursitis results from trauma, overuse, and degenerative joint disease. The painful inflammatory condition develops most frequently in athletes, middle-aged women with obesity, and older adults with arthritis. 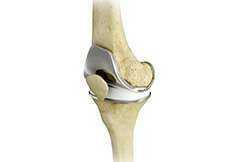 The kneecap or patella is the largest sesamoid bone in the body and one of the components of the knee joint, present at the front of the knee. The undersurface of the kneecap and the lower end of the femur are coated with articular cartilage, which helps in smooth movement of the knee joint. 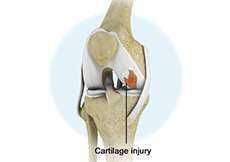 The menisci are cartilage structures in the knee joint that act as buffers between the bones. The menisci are vulnerable to injury, especially during twisting motions used for sports. 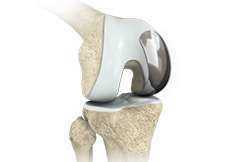 Some tears in certain parts of the meniscus may heal on their own, but in many cases surgery is necessary.